I hope no one ever asks me to choose my favorite chocolate, because I just couldn’t. If you have been following our quest for artisan and gourmet foods for any amount of time, it’s probably obvious that chocolate is my favorite dessert and we’ve enjoyed some really great chocolates. As we savored the flavors, we’ve come to love the artisans’ stories, too. Lake Champlain Chocolates emerged from a thoughtful gift of chocolates that went a little south. Jim Lampman owned a successful Burlington, Vermont restaurant on the Lake Champlain waterfront, and regularly gave his staff boxes of expensive chocolates. His pastry chef finally broke the news to Jim that the chocolates weren’t good. In fact, the word “terrible” came up. Jim immediately challenged him to produce better chocolates, and Jim was soon serving truffles to his restaurant patrons. After a very enthusiastic response, Jim founded Lake Champlain Chocolates to sell wholesale truffles. Word quickly spread about the new business operating in a tiny alley location, and retail customers started knocking on the door to buy the chocolates directly. 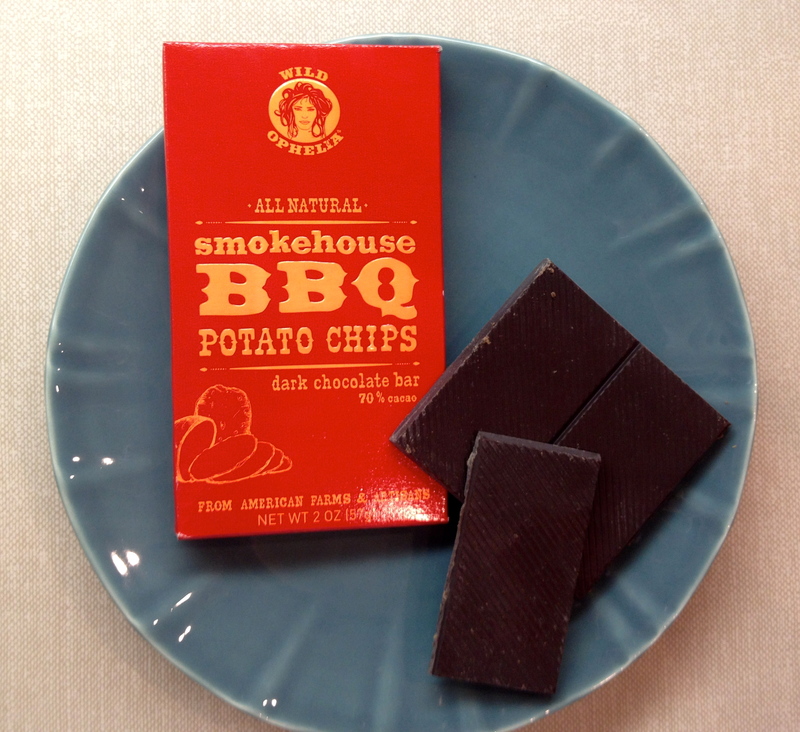 Jim sold the restaurant and turned his full attention to producing small batch chocolates using natural ingredients, many from Vermont. The chocolates contain no preservatives or shelf-life extenders, and all except the maple candies are Kosher-certified. The business has expanded from its small beginnings and now operates in a 24,000 foot facility with as many as one hundred employees at peak season. Jim’s son and daughter have joined him in the venture, and the family continues to produce innovative flavors in small batches. 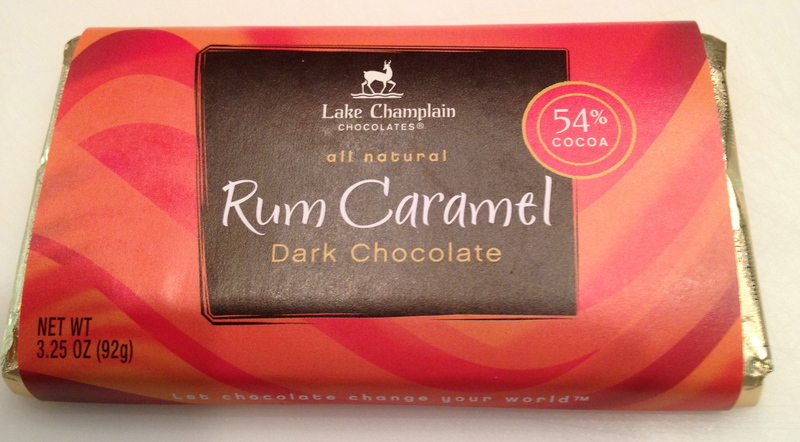 I found this Rum Caramel Dark Chocolate bar at Whole Foods, and I was intrigued right away. One of my all-time favorite pies contains chocolate and rum, so I had already bought into that combo. The addition of caramel would have to take it over the top, wouldn’t it? The chocolate bar was beautiful (although broken in transit, so I only photographed a portion of it). The taste was definitely one to slowly savor. 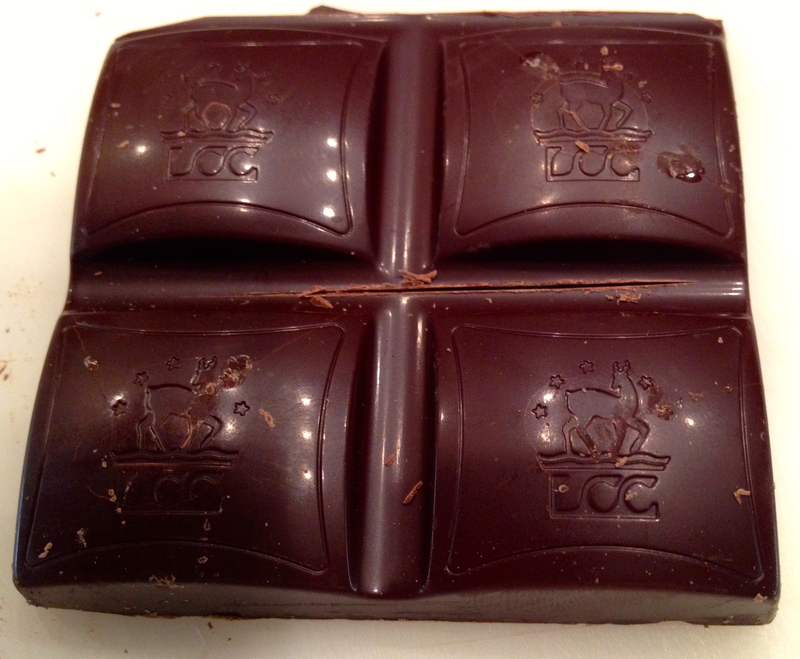 The dark chocolate was superb, and the caramel tucked inside was thick, creamy and delicious. The dark rum flavor was the last to be noted, and the combination was even better than I had anticipated. This chocolate bar is really something special! The company’s website offers an amazing selection of gourmet chocolates. Vogue Magazine called their Caramel Five Star Bar “the ultimate chocolate bar”. The company partnered with a popular Vermont rock band to create their Grace Under Fire dark chocolate bar with an interesting flavor profile of red pepper and pistachio nuts. Of course, the truffles that started this chocolate adventure are available, too. We will be trying more of them soon. Just don’t ask me to choose a favorite!